In accordance with Parliamentary and Presidential Elections (PPE) Act Section 119 and the Local Government Elections (LGE) Act Section 102, the Malawi Electoral Commission is informing all stakeholders that it will be disposing election papers for the May 20, 2014 tripartite elections. According to the two sections of the laws, the election records, which include voter registers, ballot papers, results records from districts and polling stations among others, are supposed to be preserved for one year. The Commission has been keeping the records at its warehouses located across the country and is now disposing them off. The Commission, however, has preserved electoral records from the constituencies whose results are contested in courts and the cases have not been concluded. The Commission through an open and competitive tender process has identified Lonestar Recycling Limited to buy the papers for recycling purposes only. Lonestar Recycling came out the highest bidder with a purchase offer of K26 per kilogramme. For more details, contact the Director of Media and Public Relations, Sangwani Mwafulirwa on 0 999 274 304 or smwafulirwa@mec.org.mw . 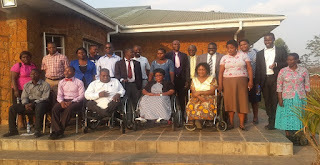 Pushing the agenda for inclusive elections forward, Federation of Disability Organisations in Malawi (FEDOMA) organized a day long for disability organizations and MEC to draft guidelines on disability inclusive elections. The meeting held at Game Haven in Thyolo on Tuesday, September 22, 2015 was also attended by FEDOMA member organizations. 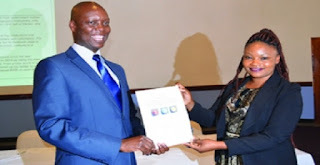 In his remarks, MEC Deputy Chief Elections Officer (Operations), Mr Harris Potani said the Commission was pleased with the stand taken by FEDOMA to start the agenda for inclusive elections now whilst there was still time. Mr Potani said MEC was committed to reform agenda that will help make future elections inclusive of all persons regardless of their disabilities. “Some of the issues coming out will be implemented administratively because they do not require changing of the law. Those with legal implications we will have to take advantage of the ongoing electoral reforms process to have them implemented into law,” he said. In his remarks, the executive director of FEDOMA, Mr Action Amos said the meeting was part of the in-between-the-ballot activities his organization had planned to undertake. “During elections period it is difficult to sit down and discuss like we are doing today because everyone is preoccupied. But now as we have the time before the next elections we have to develop the guidelines that will help people with disabilities to participate in elections without hindrances,” he said. At the end of the workshop, the participants, with the facilitation of Associate Professor Edge Kanyongolo and Dr Enoch Chilemba, both law lecturers from Chancellor College, developed draft guidelines on disability inclusive elections. This workshop was a follow up to the one held on July 30, 2015 in Blantyre where MEC and FEDOMA discussed inclusive elections.